Knowing how to maintain your drain will prevent future problems. It only takes a few minutes every month but will save you time and money in the future. 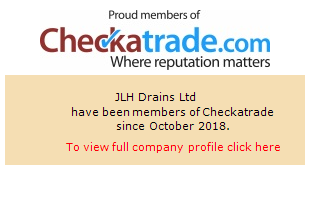 As one of Kent's leading drainage companies, we've learned a few things over the years. So we've put together this helpful guide to help you maintain your drains and avoid having to have them repaired or unblocked as much as possible! One of the best things you can do to maintain your drains is pour boiling water down them each week. A little hot water straight from the kettle every week can help to reduce the build-up of grease, oil and fats that will cause you problems ater on. If you think that your drains require something a little more powerful, why not try and add a small amount of baking soda or white vinegar? You don't need to turn to harsh chemicals to get the job done, pour a small amount of baking soda, followed by a cup of white vinegar down the drains or your sink and add cold water. As the vinegar and baking soda react together, you should be able to hear, or even see, some fizzing coming out of the top of your drains. Don't panic; that reaction is just helping to remove any stubborn grime or dirt! Just leave the mixture in the drain for about ten minutes or so and then just rinse it through with some more boiling hot water from the kettle. 5.) Make sure grease doesn't enter your drains! Repeating the above steps a couple of times a year should give you a much better chance of keeping your drains running smoothly all year round. But there is more you can do to keep up good drain maintenance - just be careful about what goes down the drains in the first place! For example, when you've finished cooking, don't pour grease from the frying pan into your sink. Just pour the fat or grease into a bottle and then put the bottle in the bin. Hopefully these simple tips and tricks will help you keep your drains in the best possible condition and working all year round. But don't worry; if you're struggling to keep them clean and clear, or you just require some more information or advice, contact our engineers who are here to help.